The second quarter of 2017 was a busy one for SIOP Africa. 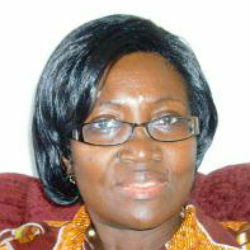 Members voted for the next SIOP Africa Continental President-elect who will be revealed in Washington later this year. There were also preparations for the continental meeting. 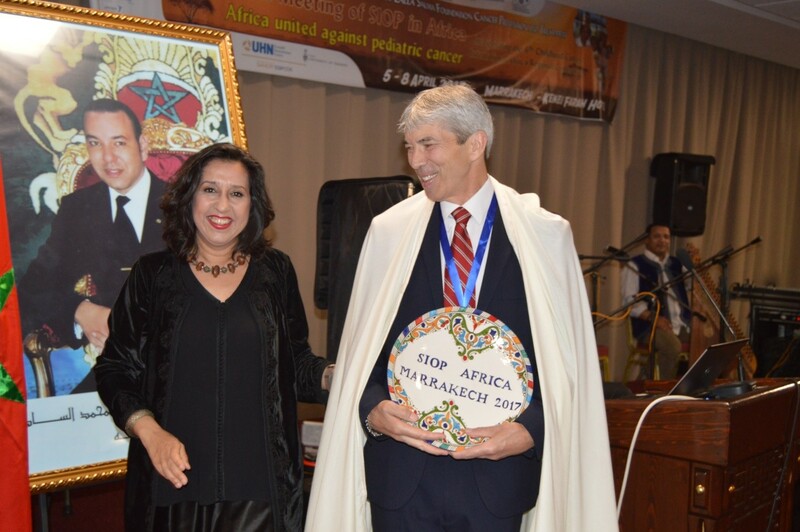 The beautiful city of Marrakech was host to the 12th SIOP Africa meeting from 5th – 8th April 2017. Laila Hessissen led the local team to organize one of the best attended SIOP Africa meetings with 318 delegates from 50 countries at the Hotel Kenzi Farah. The official language for the meeting was English. Scholarships covering accommodation and conference fees were available for a number of participants. 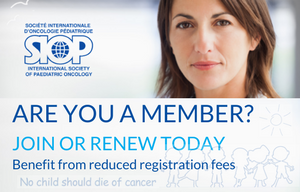 Unfortunately, the cost of air travel on the continent is prohibitive and this is a major obstacle to doctors, nurses, parents and others attending these SIOP meetings. 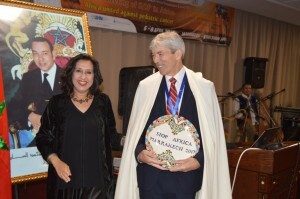 The first day, the SIOP Africa General meeting was held followed in the evening by the opening ceremony where participants enjoyed Moroccan and Andalusian music. The three day meeting provided a forum for participants to be updated on management of all the common childhood cancers, learn from experiences across Africa which ranged from LIC to HIC settings and acquaint themselves with best practices. 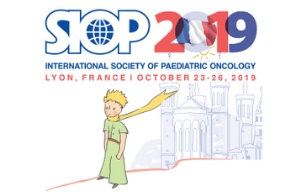 World-renowned experts in specific childhood malignancies attended including the SIOP President, Eric Bouffet. The breakfast meetings held on day 2, the 6th and day 3 the 7th April were well attended and addressed access to Radiation therapy, Palliative care and the Global plague of counterfeit medicines. The counterfeit medicines session was an eye opener to the real threat posed to health by these drugs. The ensuing sessions on day 2 covered aspects of ALL, AML including treatment in LMICs, lymphomas (Burkitt, Hodgkin), stem cell transplant and integrated childhood cancer care. There was a plenary session on supportive care which was jointly attended by the nurses and parents group. This included an overview of nutritional services in Africa and opportunities for new projects/collaborations in nutritional education and oral care. Day 3 saw experts discussing retinoblastoma, neuroblastoma, Wilms tumour, ethical issues and metronomic therapy. There was a joint plenary session on access to care with presentations on the Lalla Salma Foundation, My Child Matters and then the changing landscape of the SIOP mission by Eric Bouffet. The final session of the meeting was a joint one on palliative care and included nurses’ and parent perspectives with WHO also actively contributing. The nurses’ sessions were very interactive and included some practical sessions with demonstrations by some of the speakers. These were said to have been of much benefit to the participants. The parents’ sessions had about 50 delegates from 10 countries. Topics of interest to parent organisations were covered and these included communication, how support organisations function, fundraising, survivorship and awareness creation. There was a very well attended post-meeting workshop – the Wilkins-Barrick SNO International Outreach Course held on 8th April. This was very educative and afforded participants the opportunity to acquire up to date information and discuss management of brain tumours in limited resource settings. There was so much to discuss that the one day allotted for this workshop seemed too short. A total of 172 e-posters were available at the poster stations and also via the congress App. Excellence awards were given for the best oral/poster presentations with Dr Gilbert Olbara from Kenya receiving the medical one, a survivor from Morocco received the award in the parent session category and two nurses Elianeth Kiteni from Tanzania and Imane Sebbaba from Morocco receiving the nurses’ awards. The General meeting which was held on 5th April was attended by 36 participants. The statutes for the SIOP Africa group were finalised. The country to host SIOP Africa 2019 was confirmed as Egypt. Other issues discussed included training opportunities and advocacy at the continental level with the participants agreeing that English should be the official language for SIOP Africa meetings. Overall, the organization of this SIOP Africa meeting was excellent. The topics, calibre of speakers, delegate attendance, opportunity for networking, the venue, supporting secretariat and last but not the least, the meals served made this one of the best meetings. Thanks to Laila Hessissen and the local organising team.